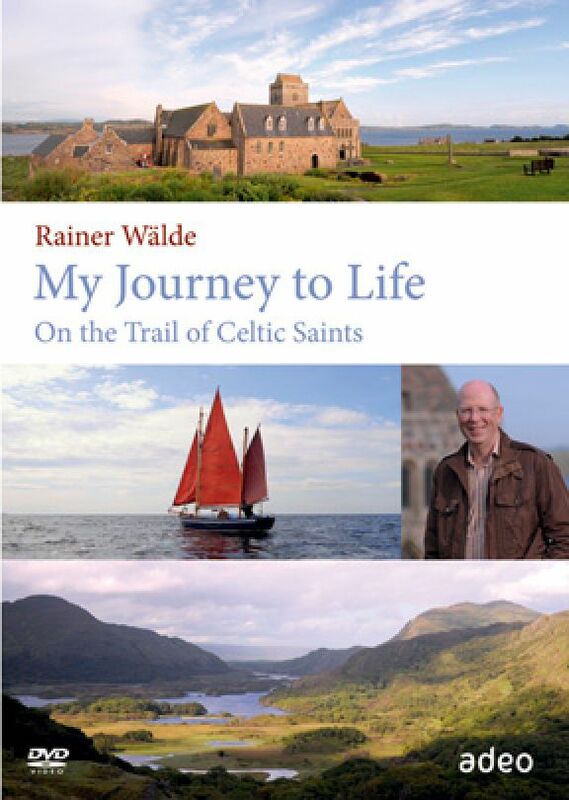 Discover the secrets of Irish Monks as host Rainer Walde goes on the trail of Celtic Saints. Journey back in time to the origins of Christianity in Ireland and Britain. 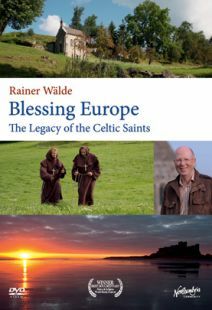 Travel from Dublin to Lindisfarne and find out about St. Patrick, Columcille, Brigid, Aiden and Cuthbert. Be inspired by the many ancient prayers, songs and rituals. Discover how a daily rhythm of life -- with set times for solitude and for Christian Communion --benefit our spiritual well-being. Explore how a spiritual life following the course of nature and admiring creation can help us to draw near to God. Fullscreen. This vivid celebration of Irish monks travels to historic abbeys and Christian communities in Ireland, England, and Scotland, as German journalist Rainer Walde takes viewers on a tour of sites related to several Catholic saints: Patrick of the Hill of Slane, Brigid of Kildare, Kevin of Glendalough, Columcille of Iona, Oswald of Bamburghm, and Aidan and Cuthbert of Lindisfarne. Arranged chronologically, My Journey to Life visits ruins and countryside locales, interviewing glimpses of artwork and artifacts, readings from spiritual texts, commentary from religious scholars, and even some musical interludes (Harpist Cliona Davis performs an authentic Celtic tune, and the Crux Vocal Ensemble sings an ancient hymn in the ruins of Glendalough). Walde stops at the Gallarus Oratory, an early place of worship in Ireland; checks out the Trinity College Library in Dublin, where the Book of Kells is preserved; and travels to present-day Christian communities. Along the way, viewers will hear some discussion of New Monaticism and a few of the questions Christians ask of themselves and their faith; What does the Gospel mean, and what does it mean to follow Jesus today? In Closing, Walde's wife describes how inspired by their sojourn in Ireland, the family incorporates Christian ritual into daily life. 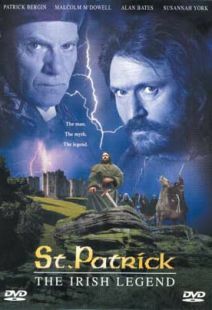 Backed y stunning cinematography and a lovely Celtic soundtrack, this is highly recommended. German-speaking Rainer Walde guides the audience on an exploration of sacred places in Ireland and England. Each of these places in connected to a saint. The pacing of this program is very meditative, and the scenery is breathtaking. From the island of Iona to Northumbria, scenery is interspersed with commentary about the lives of the saints who resided in these sacred places. Some of the saints whose lives are explored are St. Patrick, St. Bridget of Kildare, St. Kevin, St. Columcille (better known as Columba), St. Oswald, St. Aiden, and St. Cuthbert. Some of the connections between the saints are highlighted such as how St. Bridget was baptized by St. Patrick or how St. Oswald and St. Aiden went together on preaching missions. This DVD is not an exhaustive history of any of the featured saints. 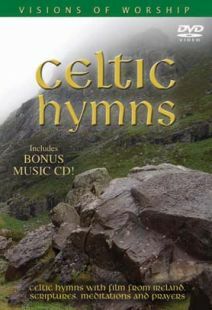 However, it does offer the viewer an introduction to the people and places that have been pivotal in Celtic Christianity. More like a sampler than a main course on any one saint, this video could whet the appetite for someone who would like to explore further the lives of these saints. Most of the people who were interviewed for this DVD speak German but the English language track offers translation. The running time for the feature is 75 minutes. This is a spiritual documentary following host Rainer Walde's exploration of ancient Christiantiy. From Christianity's origins in Ireland and Britain, to the beginnings of Celtic Christianity still practiced by modern-day followers in Iona and Northumbria, to recreations of ancient prayers and rituals,to the spiritual value of a life with set times scheduled for solitude and Christian communion, My Journey to Life is a thoughtful journey of the faith that has sustained human beings for gernerations. Highly recommended especially for DVD libraries with a Christian spiritual focus. English and German audio tracks, 75 mins. This is a choice pick for Christian familites with young people ages 8-12.